The Avengers movie just came out, and in it we saw a band of superheroes working together to save Earth from an alien invasion. There was action, adventure, and lots of excitement as we watched the heroes do their hero thing. While we can all appreciate the work that superheroes can do when the planet is faced with imminent doom, perhaps just as, if not more important, is the great works that the every day heroes do. You know, on the days when aliens aren’t invading the planet. There are every day heroes all around us, who are doing both ordinary and extraordinary works, positively impacting and supporting those around them – these heroes are often called, “Mom.” In honor ofthe moms who are “Every Day Heroes,” Dollar General is teaming up with Procter & Gamble® (P&G), has kicked off a month-long campaign called “Every Day Heroes,” thanking moms in communities where Dollar General customers live. Dollar General’s official “Every Day Hero” is Mary Gail Emery, a Georgia mom of two who does it all. As a single mom, she coaches sports team, provides rides to other children to enable them to participate in sports programs, and volunteers in her community, all while holding down both a full-time job and doing part-time work. 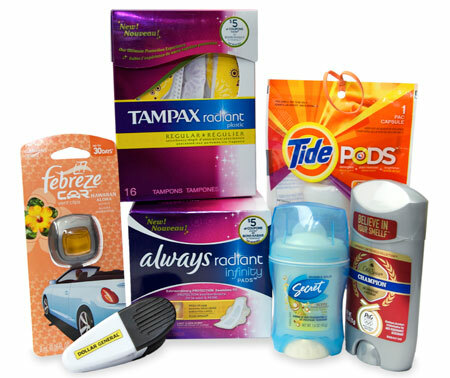 One lucky winner will receive a special P&G Prize Pack which includes Tide® Pods, Febreze® Auto Air Freshener, Always® Radiant, Tampax® Radiant, Secret® Coco Butter Clear Gel, Old Spice® Champion Deodorant and a Dollar General chip clip. This giveaway is now closed. Congratulations to our winner, Entry #1094, Lesley F.
My hero is my Grandmother! Jesus is, he gave his life for me! Jesus is, he gave his life for me!! My husband, he makes my family’s life awesome! My best friend she’s always there when I needed her! My Husband because of how much he does to help us. My youngest daughter who is a survivor of Bone Cancer and is definitely my Hero at her ability to love life and be who she is. My everyday hero is my husband, who works hard everyday. Leave a comment sharing who is your every day hero! my hero is my DAD!!! My mom, for all she does at her age which goes far beyond what I know so many others her age do! My husband is, I don’t know what I would do without him. My roommate is my everyday hero! i have more then one. My parents are my everyday heros always have been. There are to amazing hard working human beings who have loved me uncoditionally and held me up to fly no matter how far down it pushed them. My mother is my hero! My brother in law is my hero! My friend is a firefighter and I think he’s heroic every day. My daughter. I often wonder how she became such an intelligent, grounded, caring human being. 🙂 Thank you. My everyday hero is my mom! Unfortunately, my mom passed away 12 years ago from Lupus, still…she is my hero. 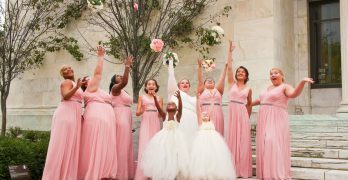 She was a single parent raising a ‘difficult’ child (me) and she did it flawless! I wish I was as good of a mom as she was. My everyday hero is my husband. He is an amazing father and a great man. MY DAD IS MY EVERYDAY HERO. HES THE BEST !! It may sound funny, but my husband is my hero. The way he works his fingers to the bone for us!!! That rocks, is heroic in my book. You hear of other men who just ditch their family! These loyal men, they deserve a lot of credit. My best friend who is a single Mom! My mom is my hero! My husband who works long hours so I can stay home with our children. My son is my everyday hero. My mom was my best friend (sometimes my only friend). I had found out that I was pregnant and was supposed to give birth on 6-21-95 but he came early. I found my little hero and had my mom my best friend/big hero. My mom died on 6-21-96… one year later. I believe that God took my big hero but gave me a little hero in exchange. My husband is my every day hero. He is a disabled veteran, works full time and is attending college full time. my mom is cause she does everything for me. My mom and my dad, they have always been the most important people in my life and have always set an amazing example. my everyday hero is my mom! My husband is my every day hero…works hard, cares, does the right thing even when it’s unpleasant. And he’s a wonderful stepdad. My daughter, who has devoted her life to helping others, is my hero. My mom is my here! My husband is my hero..he’s always there for me. My husband. He does so much for us; he’s amazing! My parents or Teachers, Dealing with kids and raising /teaching them is hard work. My every day hero is my husband. He is such a great husband and an even more amazing father! My husband. He goes to work everyday no matter how tired he might be from the kids being up sick at night or whatever craziness might happen, and then comes home and (you’re all going to want to kill me) — he cooks dinner! My everyday Hero is my husband. He’s a great Husband, Father and a Provider. My mom is my biggest hero. Anyone that can deal with the pain she does on a daily basis and still do for others with unprecedented compassion is more than a hero. They are a person to be looked up to and respected. I love my mom more than words and she is my best friend. My fiancee is my everyday hero. He goes through a lot every day. My mom is my hero. Always there for me and so loving and nice. Thanks! My boyfriend is my everyday hero. He has worked while I stayed home for the last four years so I could get my college degree and take care of our two boys. He gives his time and money and support unselfishly, always. My sons are my heroes. My mom, she’s an amazing woman. My hero is my mom. She has been through so much and is a survivor. She’s the strongest person I know. My children! They keep me going and smiling! My son is my everyday hero. He is severely disabled, yet he never gives up hope for a cure. My dad. He was a volunteer fireman for 50 years. Mine is my boyfriend! He is the most patient man I know – he balances me out quite well. My everyday hero is my mom. She works very hard to support her family and is always there to pick me up when I fall. My mom is my hero as she is always there for me and willing to help out no matter what. My son is my every day hero. USMC-Ooh-Rah! My mom is my every day hero she has always been there for me my siblings and her parents she is tireless! My everyday hero is my friend Flora. She is dependeable, sweet,generous, very even tempered and kind to all. That would most definitely be my mom!! She has done for much for me and my siblings and will always be my hero!! My boss Retta. She does so much to help the special needs people in our community! My mom is one of the best people I know so she is my everyday hero! My fiance… because he puts up with ME!! My mom is my every day hero because she is there for me. My every day hero is my son whom amazes me regularly with his intelligence! my mom is my everyday hero! i love her so much! Would say my mom, she taught me who to be I am today, to be above and beyond! My grandmother is my everyday hero. My daughter, who is kind and thoughtful. It would be my father…who has always been there when I needed him. i have to go with my mom. Jesus is my everyday hero! My sister. She always helps me with my kids. Love her! my mother- most patient woman..
My nephew, he is a Marine and he just became a first-time Daddy four months ago. My grandmother was my hero, there is not a day that goes by that I do not think of and miss her. My husband is my hero. He takes care of me with my disability and my daughter. My mother. She is so hard working and loving. My everyday hero is my dad. Even though he suffers from Crohns disease he still gets up and delivers the mail everday. He is always there when I need him too. My hero is my wife! She is pregnant and having a rough time with it, but she still gets up and works hard every day at whatever she has planned for the day! My husband he gets up before the crack of dawn and he stays up as long as you can to spend time with his family. My everyday hero is my mother! My everyday hero is my husband Billy. He’s great he puts up with me which is an amazing feet in itself, along with everything else he does. My hero is my dad and mom!!!! My husband! He works so hard! My Grandma was and still is. Thanks for the chance. Both my parents are my heros in very different ways. My friend Angela she had cancer at 28 and she overcame it, she is amazing. My dad was my everyday hero, he taught me so much even when I didnt realize he was teaching me things. My coworker Jesika…she is a wonderful teacher and great mentor. My mom. She gave up so much for my sister growing up. My mom. She is amazing in every way. My everyday hero is my mom. Mine was my mother. She was very unselfish and giving and cared about her family very much. Thanks for having this contest! My mother who was a teenage mother,and raised me with no help. She did this and worked and also went to college and now has her own business! What a woman! My teenage son was recently diagnosed with cancer. With all that is going on in his life he never complains and still manages to maintain his grades. I’m so proud of him. Hello, how are you? Thank you for this opportunity. My Mother is my every day hero. My son-he recentl got out of the Army after a couple tough deployments and has finished his first semester of college!